Hiya guys! It's been such a topsy turvy Thursday and hence I'm here with a late night post. Not to worry though because it's a heck of a goodie that was worth waiting for. You might have seen some of the photos of these already on social media, but today I'm sharing all my swatches for the Vintage Cremes & Galaxie release from Poetry Cowgirl Nail Polish. This collection is inspired by the bright but muted (by today's standards) colors of the 1950's and early 1960's. These are such perfection for the summer! Let's go ahead and get started. 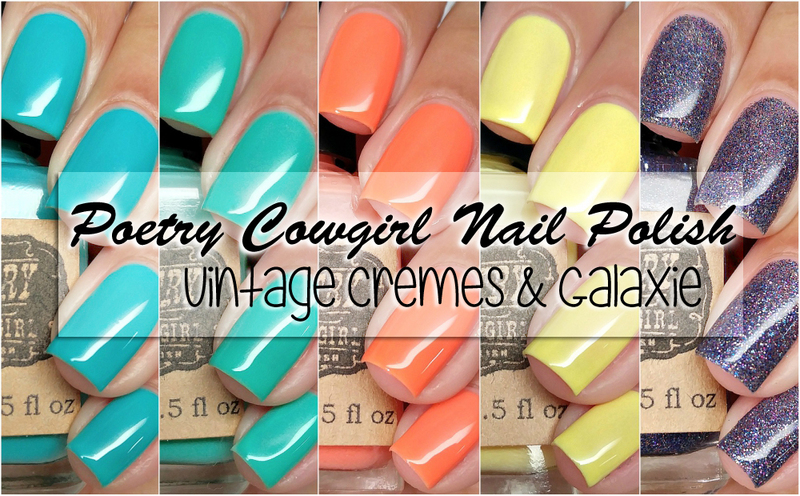 The Vintage Cremes & Galaxie by Poetry Cowgirl Nail Polish will be releasing tomorrow Friday, July 8th 12PM EST. Galaxie will only be listed individually retailing in full-size 15 mL for $10.00. All the Vintage Cremes will be listed individually for $10.00 and as a set for $36.00. Bermuda can be described as a bright turquoise colored creme finish with a subtle neon glow. The formula has a nice consistency, not too thick or too thin. It also applies on the opaque side for minimal layering. A nice thing to note is that I didn't experience any staining, always a sign of a good blue polish. Shown in two coats and sealed with a glossy topcoat. Starliner can be described as a orange-leaning coral creme finish with a subtle neon glow. 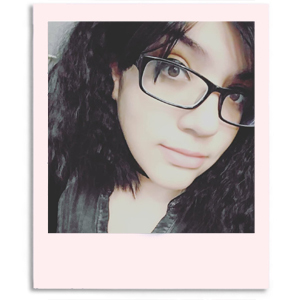 This shade makes my complexion look like it has a nice summer tan, haha. I love that! The formula was the odd one out for me from the cremes as it ran a little thinner. Regardless of that it still self-leveled beautifully and had a smooth application. Shown in three coats and sealed with a glossy topcoat. Jade can be described as a bright jade colored creme finish with a subtle neon glow. Not only is this one of my favorites, but it manages to capture that retro vibe so flawless. Again no staining either from this shade, I even tested it without base coat. Shown in two coats and sealed with a glossy topcoat. 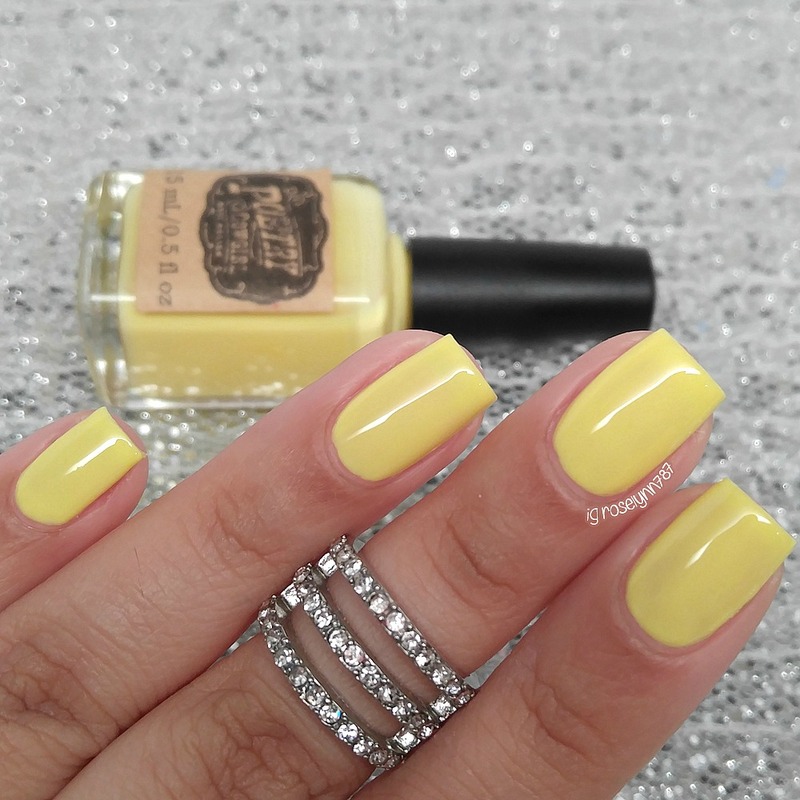 Sunbeam can be described as a sunny yellow colored creme finish with a subtle neon glow. I'll be honest, I was not expecting this shade to suit me as much as it does. Yellows tend to clash against my skintone, but this one completely blew my mind. It's the perfect muted tone and heck it's even my pick as must-have from this collection. Formula has an opaque non-streaky application, which is really surprising for a yellow in general. Shown in two coats and sealed with a glossy topcoat. Galaxie can be described as a micro-glitter packed with various shades of blue, pink , burgundy, purple, teal, and lime. The spelling of this polish is in honor of the Ford Galaxie, which was very popular in the 1960s. 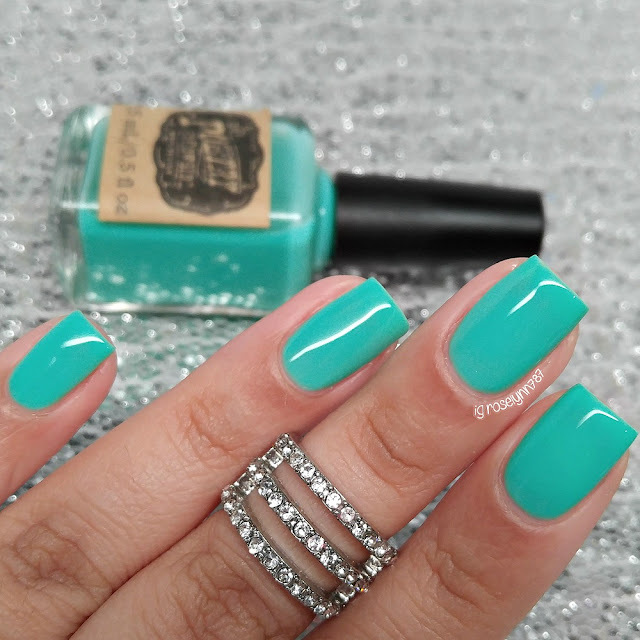 This sparkly beauty is designed to be a full coverage polish, but can also be worn as a topper. 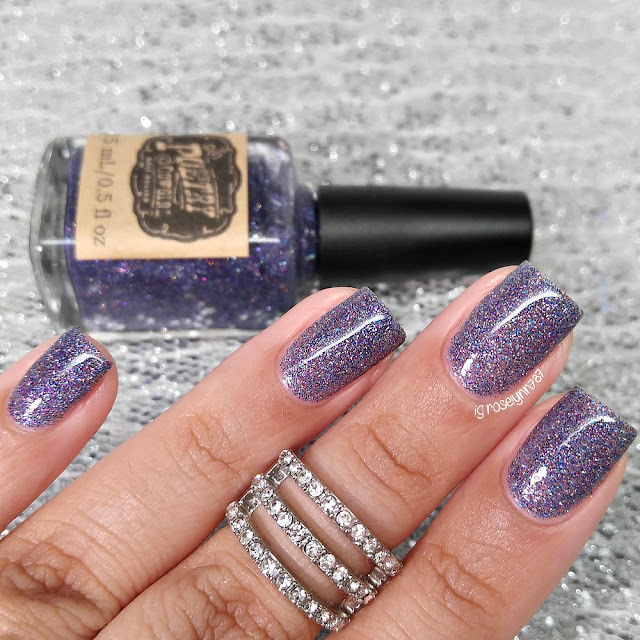 Very reminiscent of the classic CG Fairy Dust, but in a blurple hue! The formula has a smooth application with great glitter pay off per brush stroke. Shown in three coats and sealed with a glossy topcoat. 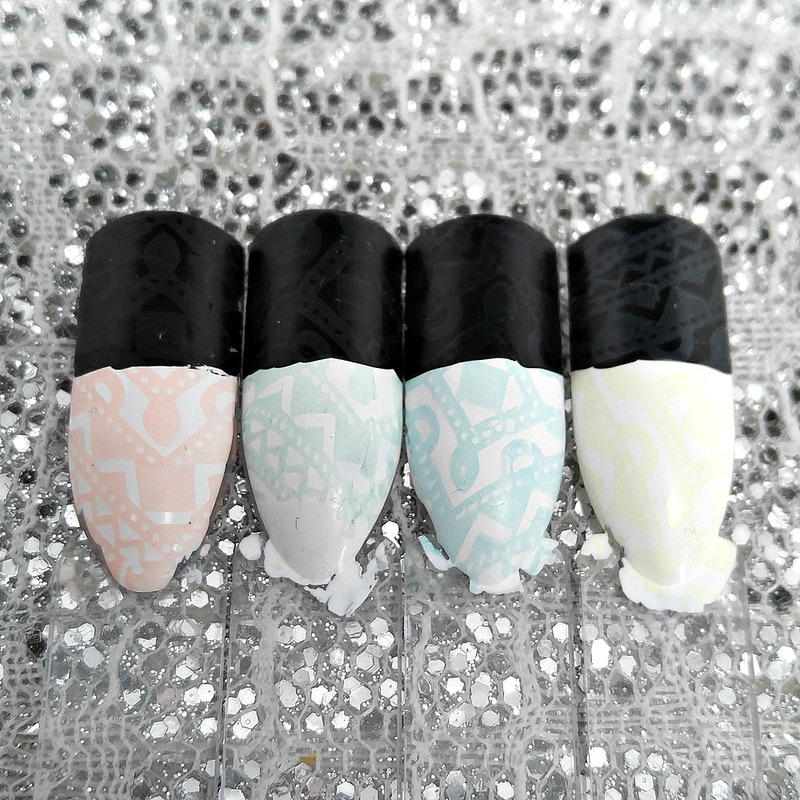 When it comes to creme polishes the first question on our minds is pretty obvious, right? Well obvious only if you're a polish-aholic / nail art nut... like me, haha. So... Does it stamp and does it watermarble? Well let's take a look at my watermarble attempt first. I'm by no means a watermarble 'expert' or anything close to that, but look at how lovely this turned out. I actually will have a video tutorial posted over the next few days showing you guys how I created the design. Be sure to subscribe to my YouTube channel so you don't miss out. Now on to the stamping which didn't go as well as the watermarble. While all the shades pick up great, none of them show up over black. As you can see in the photo below, they are very subtle over white. Overall I'm head over heels for this collection! I cannot recommend the Vintage Cremes enough, especially if you're feeling tired of the same ol' neon color palette. Personally I didn't own anything even close in color scheme so these will be used quite a lot for nail art. And I'm loving the fact that they can watermarble, it's such a nice little bonus for those of us love that little torture haha. But what do you guys think? Are you loving the vintage vibe as much as I am with these cremes? 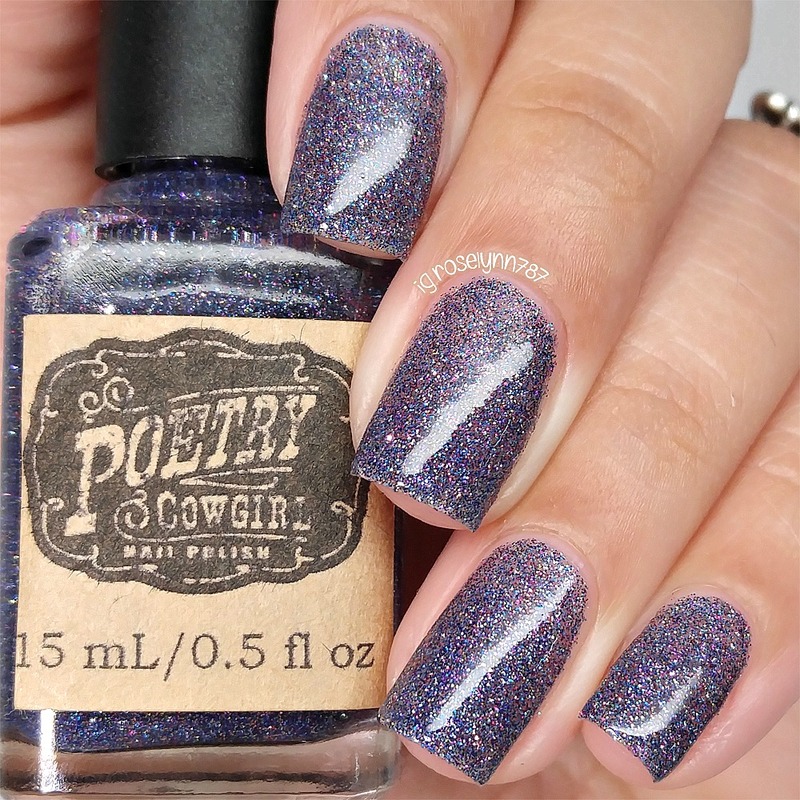 To recap, the Vintage Cremes & Galaxie by Poetry Cowgirl Nail Polish will be releasing tomorrow Friday, July 8th 12PM EST. Galaxie will only be listed individually retailing in full-size 15 mL for $10.00. All the Vintage Cremes will be listed individually for $10.00 and as a set for $36.00. Your nails look beautiful and the top coat is so glossy. What top coat do you use? Thanks! !